← Santa P.A.W.S. 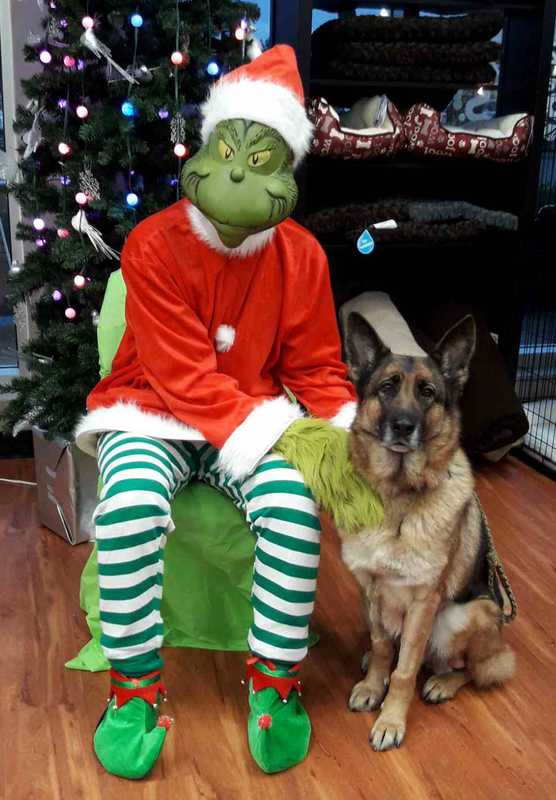 FUNdraiser · Hosted by Peak Animal Wellness Services – December 14th! 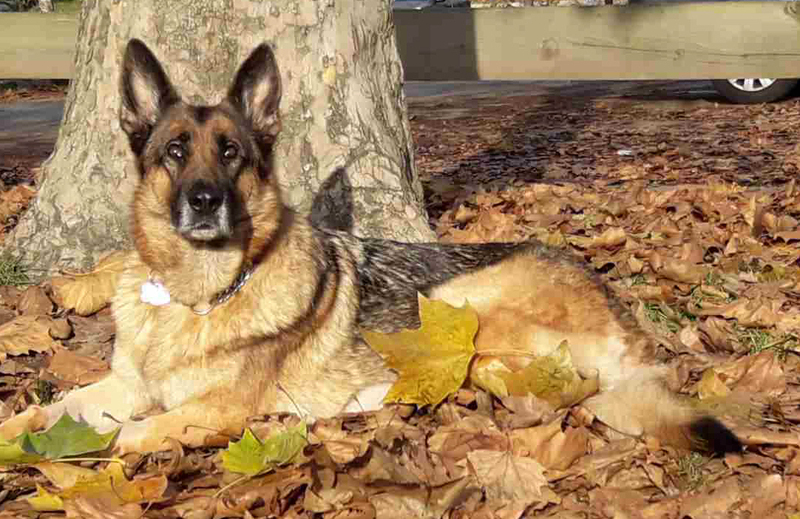 MEET SHILO … the newest recipient from the Maggie May Fund! Shilo back to Squirrel watching. 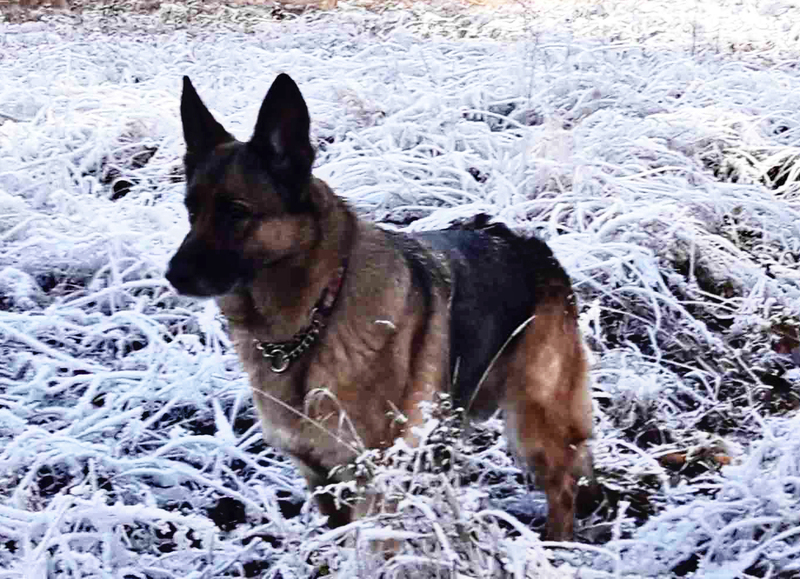 Shilo Is a 5 year old German Shepard, her Mum’s pride and joy. Shilo came from Kuwait, she had a very important job there as a Bomb Sniffing Dog until she suffered a gunshot wound in the paw! Shilo was then rescued by private citizens and brought to Canada, she was a year old at that time, she had to be 110% healthy before being allowed entry and she was! Her new Mum was anxiously awaiting her arrival, and was ready to give this girl all her love and a new home. 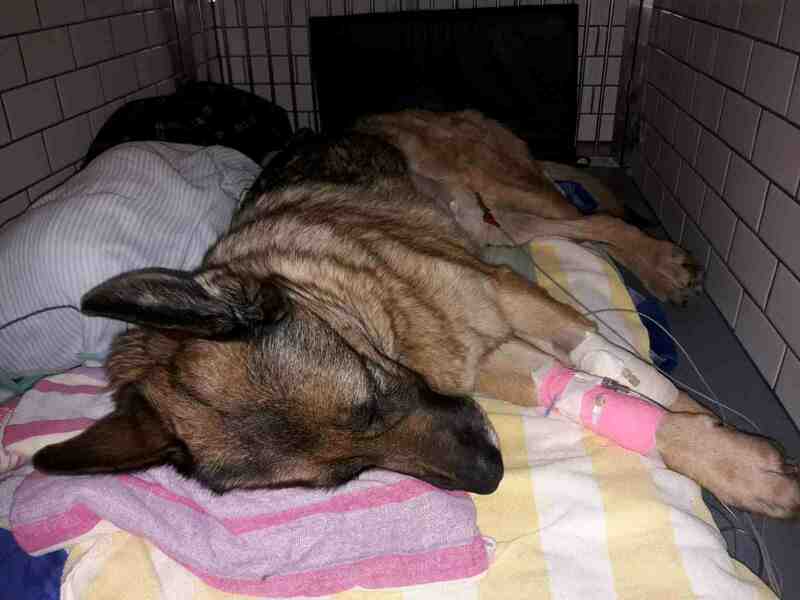 Shilo is now 5 and was the healthiest of dogs until just a few weeks ago when she became lethargic and unable to eat. 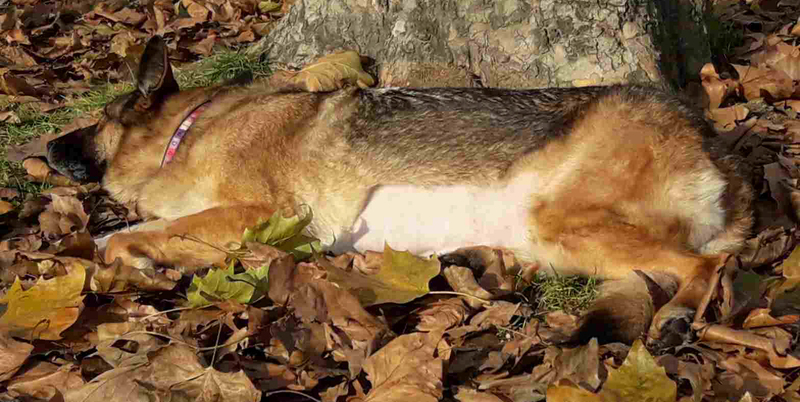 After seeing her own vet, it was determined she needed to get to Can-West ASAP where it was found that she had a twisted spleen (splenic torsion) and needed lifesaving emergency surgery. 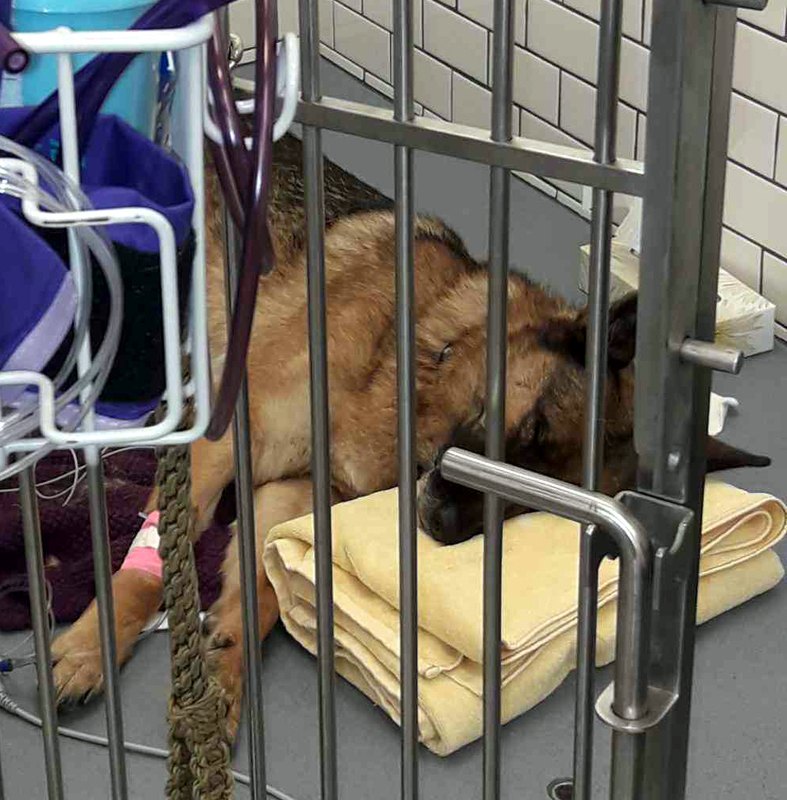 Shilo needed a Splenectomy/Gastropexig at a cost of $7500. 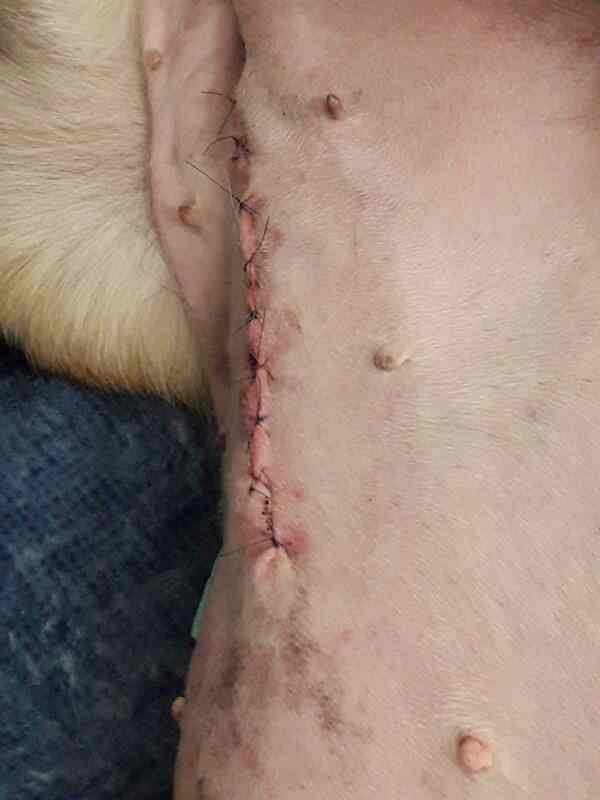 There was no choice as to what Shilo’s Mum would do, she was not going to lose her beloved dog and would do whatever she had to do to put together the money needed for this expensive surgery, euthanasia was NOT an option, and that is where we stepped in to help and we could not be any prouder to do so. Surgery went very well! 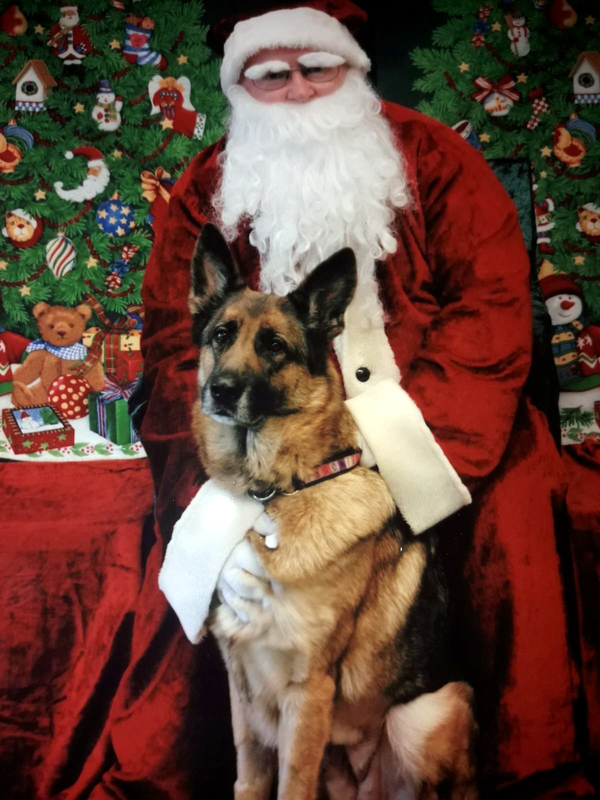 It has been a few weeks now since surgery and Shilo is recovering and doing great, she is back to squirrel watching and was even able to visit Santa this past weekend. Speaking with Shilo’s mum, you can hear in her voice the love and pride that she has for her Shilo, and even told us a story of Shilo’s recent visit to the bank where Shilo flopped on her back in the middle of the floor, legs spread apart (such a lady), and was either showing off her surgery scars or wanting a belly rub. We are looking forward to meeting Shilo soon, we all understand what it takes to be a doggy parent and with your support Shilo is healthy and back to living life! Shilo is a true Hero! This entry was posted in Donations, Tails of Help. Bookmark the permalink. 1 Response to MEET SHILO … the newest recipient from the Maggie May Fund! Such a wonderful story. Thank you for your service, Shiloh. So glad that you found such a loving home in Canada. And way to go IMOMM. Such a worthy pooch.